Israel’s largest aerospace company Israel Aerospace Industries Ltd. (IAI) has announced on Tuesday it signed a memorandum of understanding with Effective Space Solutions Ltd., a company developing a satellite-maintenance spacecraft. Israeli state-owned IAI develops and manufactures systems for air, space, sea, land, cyber, and homeland security. The partnership will see IAI invest in Effective Space, pending regulatory agreement, and will see the two collaborate on the development of the Space Drone crafts, with IAI in charge of the manufacturing. The companies did not disclose the financial details of the deal. Founded in 2013, London-headquartered Effective Space is developing a servicing vehicle intended to provide maintenance, monitoring, delivery, and positioning services to satellites in geosynchronous earth orbit. 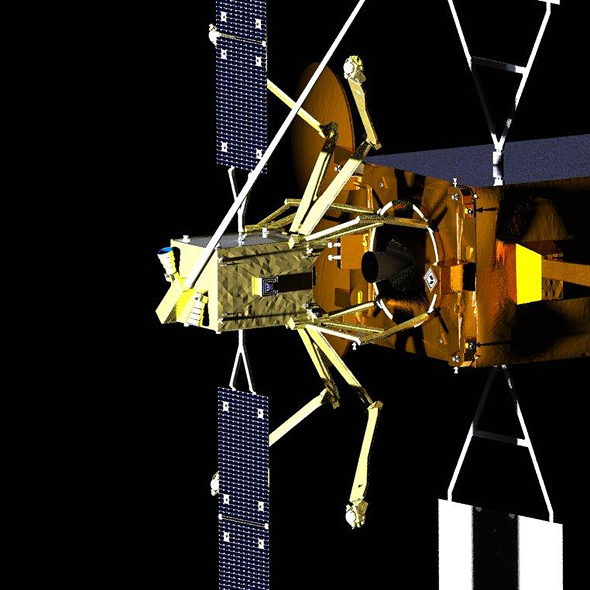 The company states its aircraft, the first two of which are expected to launch in 2020, could extend the lifespan of an average communication satellite by 15 years. The company has a research and development center in Israel and raised $15 million in total equity funding to date. IAI announced several collaborations in recent months, including with Croatian vehicle and robotic systems manufacturer DOK-ING d.o.o. for autonomous robots for high-risk environments, and with U.S. aerospace company Sierra Nevada Corporation for the development of a new tactical vertical takeoff and landing (VTOL) unmanned aircraft for the U.S. market. IAI previously built several of the AMOS satellites launched by Israeli satellite operator Space Communication Ltd., also known as Spacecom.